Ow boy my hair needed a wash. I’m not the type to wash my hair two times a week, but sometimes I think it is necessary. I started off with a wash. 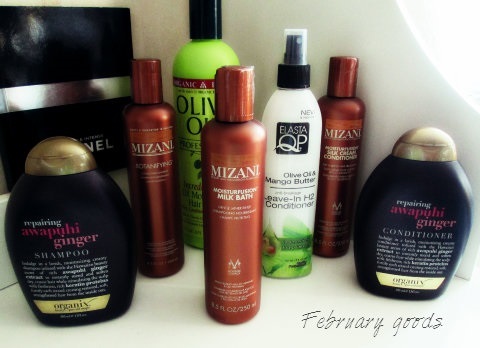 I used Organix Repairing Awapuhi Ginger Shampoo. As always I wash my hair in 4 sections. During the wash I detangled my hair with my fingers. 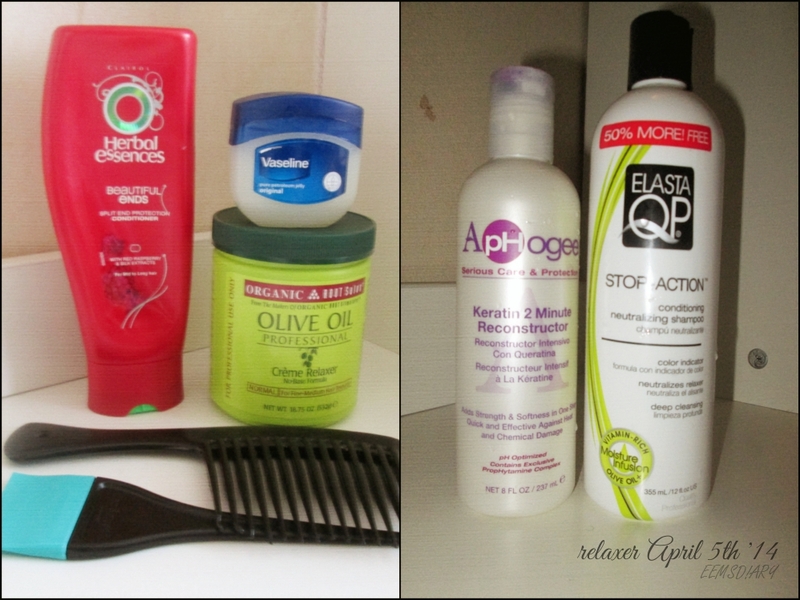 When I was done, my hair was really fluffy, and the funny part is I still don’t know if this shampoo is a KEEPER!! I couldn’t find my t-shirt so I dried my hair with a towel. After that I let my hair air dry for a little bit (15 minutes) and then deep conditioning with KeraCare Intensive Restorative Masque. 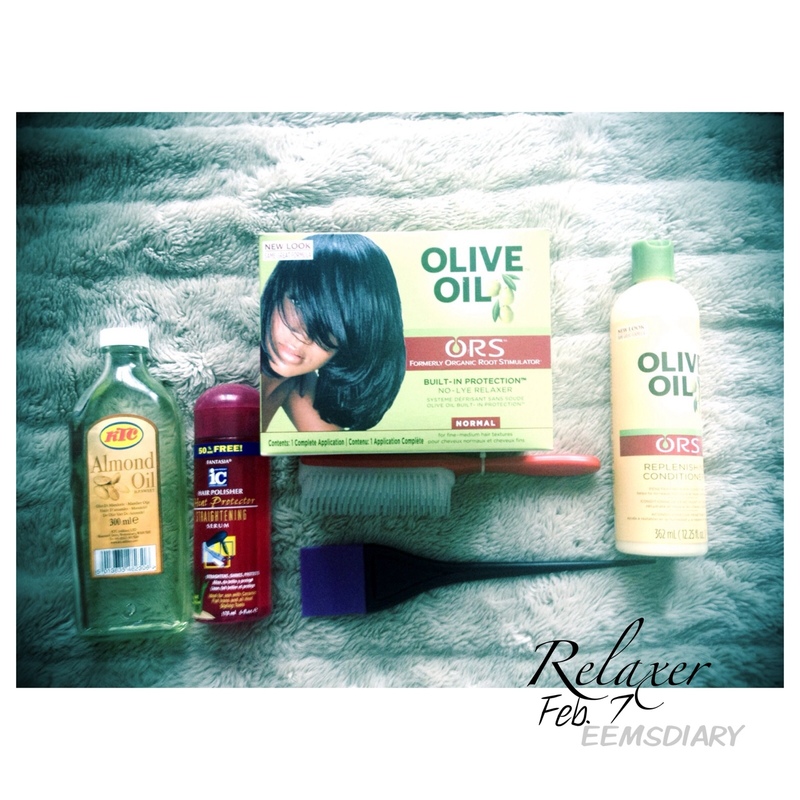 It was my first time using this product and so far so good. I’m not really familiar with masque conditioner, but the texture of the product feels light, like a normal moisturizing cream. I deep condition for a hour without heat. My hair was soo bouncy- fluffy- soft when I rinsed out the conditioner. It was just hairlicious !! 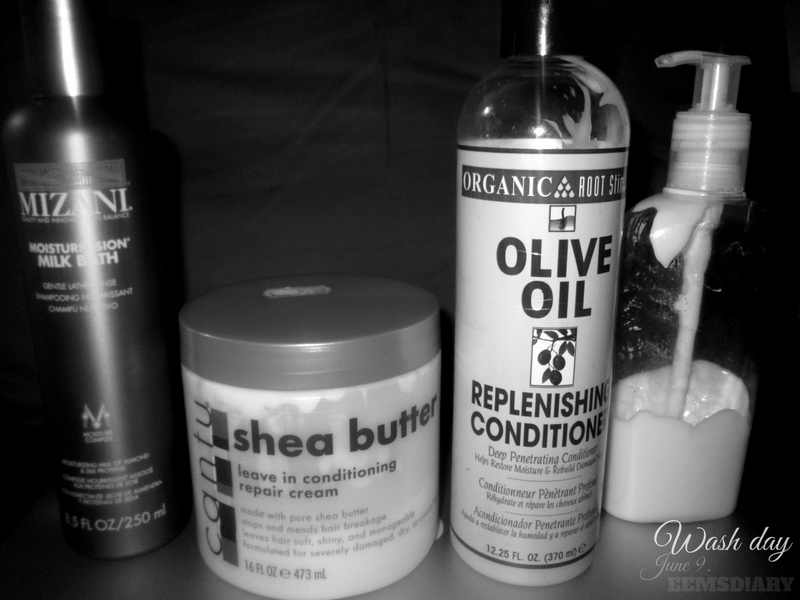 In the beginning of my hair journey Cantu Shea Butter Leave In Conditioning Repair Cream was my BABY and lately I have been neglected it. 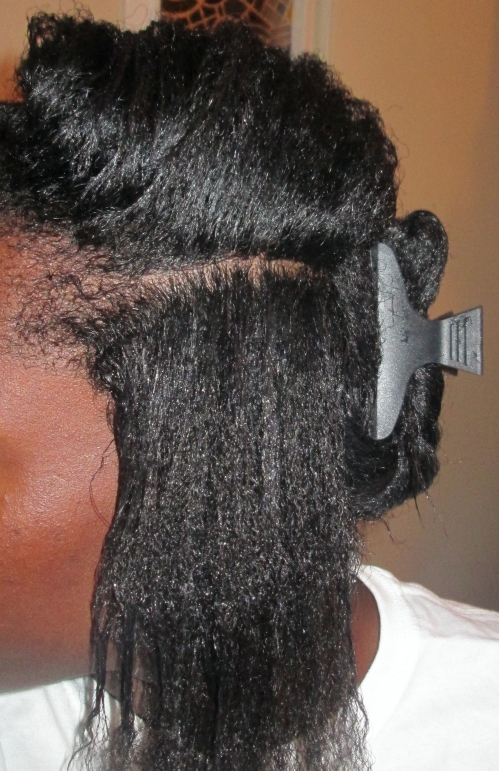 In sections I applied the leave-in and gently detangeled my hair with a shower comb. 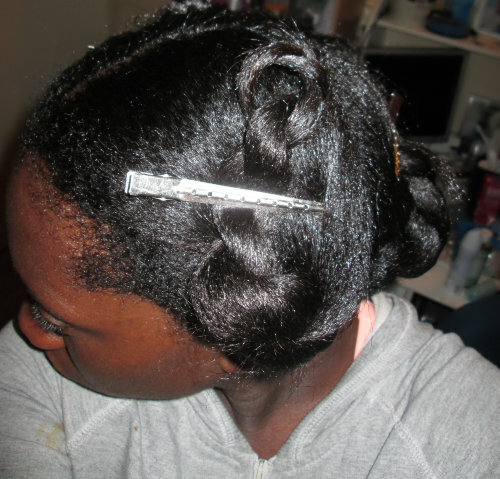 I really concentrated on my problem areas, my ends, edges, crown and nape. I pinned my hair up for it to air dry. 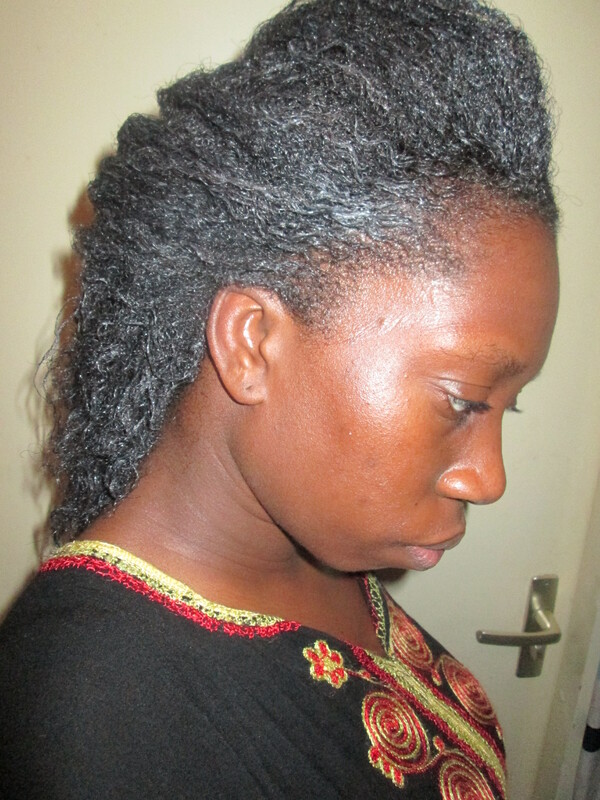 In the evening my hair was still damp, but I had to moisturize my hair before I went to bed. 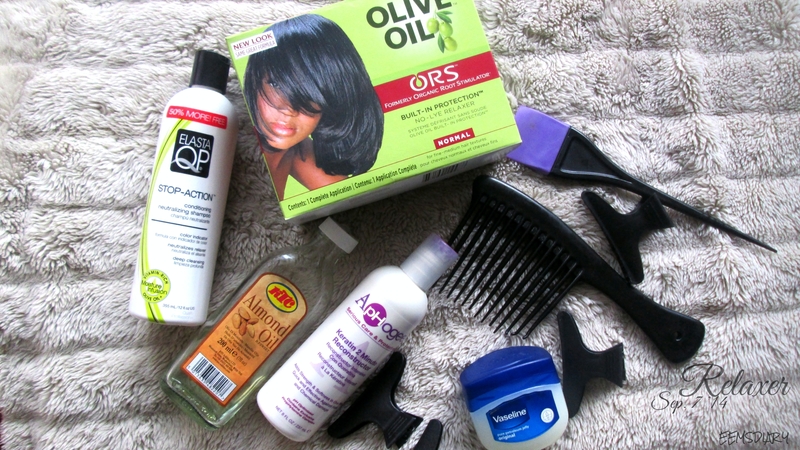 I applied ORS Hair Lotion on my hair and didn’t use an oil to seal – laziness -. 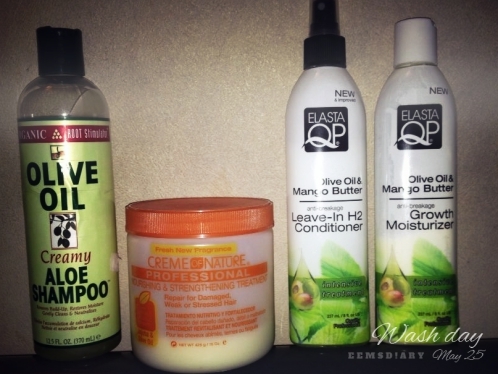 Cantu Shea Butter why did I ever leave you? ?